SCIENCE & TECHNOLOGY UNITE TO GIVE YOU… THICKER, FULLER AND HEALTHIER HAIR! 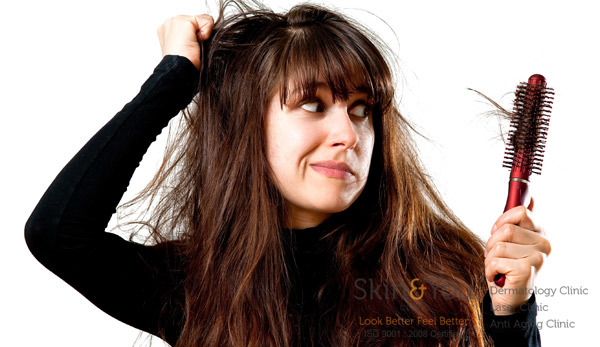 Hair loss, for millions, is an unfortunate inevitability…However formost; it is also unnecessary and entirely preventable! igrow incorporates Apira Science’s dual light Lazer and LED design. igrow’s proprietary low-Level Light Therapy (LLLT) technology utilizes ahighly effective combinationof red lazer and LED light diodes to effectively stimulate and energize cellular activity causing an uptake in the natural function of the hair follicle. This proven 4 to 6 month process reverses hair thinning and loss. The igrow is a safe and effective device, designed and produced ,Specifically for the purpose of growing hair in people afflicted withAndrogenetic Alopecia (thinning hair). igrows non-invasive, proprietaryLow- Level Light Therapy (LLLT) technology has no side-effects, unlike Pharmaceuticals, topical and pills used to treat hair-loss. igrow is not only highly effective, it’s affordable as well. The revolutionary igrow features an optimum blend of proven science and technological achievement,borne from decades of research and development. A worldwide team of scientists, doctors and medical engineershave incorporated the identical low-level laser technology used by professional hair loss medical experts and by hair restoration physicians,into the igrow to effectively grow hair. The igrow is designed and crafted to effectively cover the scalp, and engineered tofocus on areas prone to hair loss. The igrow is engineered to address, treat and ultimately reverse the effects of Androgenetic-Alopecia(thinning hair leading to hair loss). When comparedto other low-level laser therapy devices, the igrow trulyis unparalleled in its inherent features and benifits. It’s been clinically proven that most men and women prone to genetic hairloss or thinning hair will benefit from low-level lasers. It’s an innovative, amazing technology that can grow hair and prevent thepremature loss of hair. With regular use of igrow, individuals Can expect to see a gradual improvement ,In hair condition within a 12-16-week period.Individual results will vary. For best Results the igrow should be used two times per week on non-consecutive days. Consistent use provides optimum results. Low-Level Light Therapy (LLLT) has been shown to stop hair loss and help grow hair for menand women with genetic forms of hair loss,such as pattern baldness. Lasers are widely used in medicine and also through outa variety of industries in a multitude of varying capacities. The laser energy used to growhair is visible in the red light spectrum. The laser light used in treating hair loss and other medical conditionsis defined as a Low-Level Laser Therapy (LLLT).LLLT is sometimes included under a broader definition of photo-therapy called low-light therapy where the light-emitting device may be a laser and/ora light-emitting diode(LED). Thinning hair and hairloss is primarily aGenetically driven conditionCalled Androgenetic Alopecia.over time,this condition deconstructsor damages follicle cells and causes hair to progressively thin untilthe hair follicleultimately dies, unable to produce hair again. Non-Invasive Low-Level Laser Therapy at a scientificallyestablished and clinically provenwavelength (approximately 655 nano meters) can re-energize unhealthy follicle cells, andcorrespondingly stimulate and stabilizethe production of fuller, thicker and healthier hair. When used consistently,Low-Level Laser Therapyhas been shown to effectivelytreat the primary effects of Androgenetic Alopecia(thinning hair). LLLT can effectively suspend hair loss ,and ultimatelyreturn thin hair to a fuller, thicker andhealthier state. WHY SKIN AND YOU CLINIC FOR LASER LIGHT THERAPY ? We at skin and you clinic have been using the low level light with good results . A hair regrowth is noticed at the end of the treatment we advise you then how to maintain the hair with lasting results . we use the best technology which is safe ,effective with no downtime.